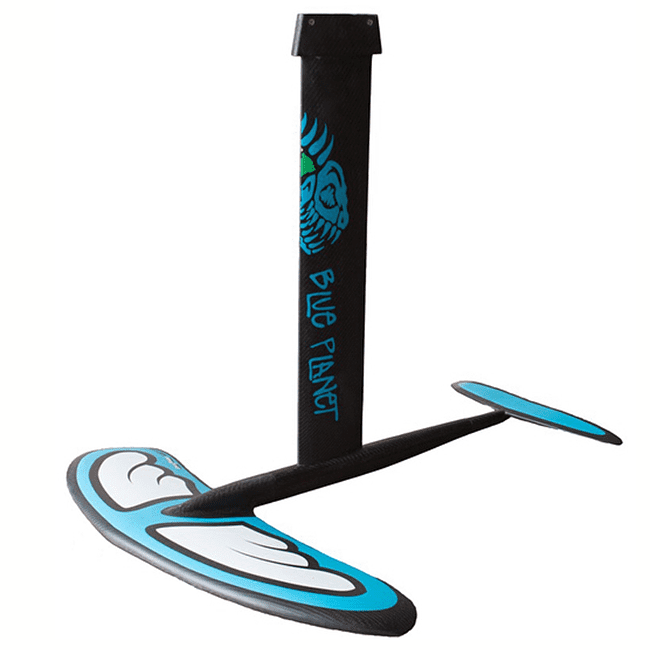 Blue Planet Surf, Foiling Made Easy! Robert Stehlik and the rest of the Blue Planet team have pioneered this new and exciting pastime and have tested vigorously on and off the water to come up with a line of SUP foils. A package discount of 149 euros will be applied when you buy a foil board and a foil! Enter coupon code FoilingMadeEasy during Check Out. Blue Planet’s Easy Foiler full carbon SUP Foils make foiling as approachable and easy to learn as possible. The foils are made with pre-preg carbon fiber and high-density foam cores for maximum strength, stiffness and weight reduction. The large version creates more lift and is ideal for downwinders and heavier riders. The medium version for average usage, whereas the smaller version caters for lighter riders in surf. Fitted with Tuttle Box Mount.